The valuation methods appropriate to the class of property are computed on a property-by-property basis. For residential properties, reports are generated that provide the "direct market comparison" and "replacement cost" methods. For commercial and industrial properties, it is usual that the "replacement cost" and "income approach" are computed and reported on each property. The process does not stop there. Qualified appraisers review each value calculation along with a photo of the property. In the case of residential properties, the appraiser can see photos of the selected comparable sale properties used to help establish the value estimate. The appraiser considers the information presented and establishes a final value estimate. 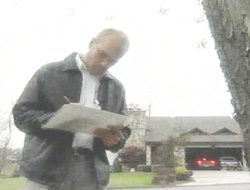 After all of the computer-assisted research has been done, the certified Pennsylvania evaluators go back to the neighborhoods to compare the values and properties and to make sure the correct values have been assigned to each property. Any necessary corrections will be entered into the computer system to be sure all of the records are accurate. In summary, the computer is a tool, but appraisers set value.